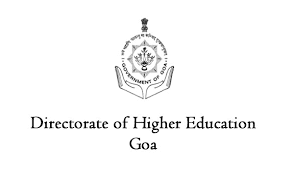 DHE Goa Jobs Recruitment Notification 2019.Directorate of Higher Education Porvorim – Goa inviting applications for the positions of auditor, Junior Stenographer, lower division clerk and multi tasking staff posts.Interested and Eligible candidates can apply for the positions. Last Date for Submission of Application is on February 0st, 2019. Total number of vacancies to be filled in Directorate of Higher Education Porvorim is 127. Candidates those who passed secondary school education can apply for MTS, LDC & Stenographer posts. Bachelor degree holders in commerce from a recognized university can apply. Applicants must have knowledge of Marathi. Applicants maximum upper age limit is 45 years. Age relaxation for OBC is 03 years, SC/ST is 05 years. Selected candidates as Auditor will get pay in the level 5, Jr. Stenographer in the level 4, LDC in the level 2 and MTS is the pay scale level 1. Mode of applying for DHE Goa 2019 Notification is through online mode. Form 15th January 2019 to 01st February 2019 contenders can apply. http://www.dhe.goa.gov.in/recruitment.html is the link to apply online.